Do you need quality website copy? You know your business intimately, but are you having trouble writing about it? I can help you. As a business owner, it can sometimes be hard to look at your business through the eyes of an outsider. Remember, the person reading your website for the first time, who may be considering your products or services, doesn’t know a thing about you. Will their first impression be good or bad? I take the time to get to know you and your business, so that I can write professional web copy which engages your reader and influences them to know, like and trust you. I can write your About Us page, Home page, Services pages or any other web pages you need professionally written. Did you know your About Us page is one of the first pages your prospective clients visit on your site? They want to know more about you before doing business with you. A well-written About Us page can help readers to know, like and trust you, which is vital for a healthy business relationship. 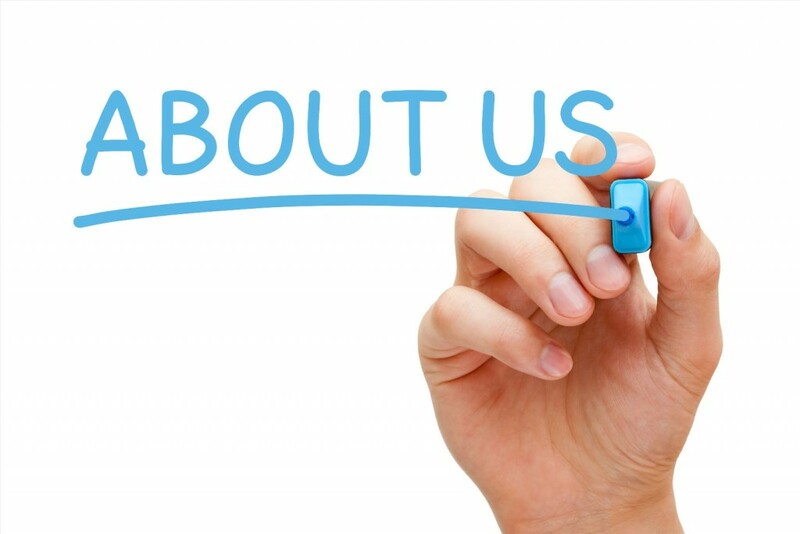 What does your About Us page say about your business? Is it relevant to your clients or is it a rehashed ‘company history’ which nobody reads? Is it currently “Under construction”? Maybe you’re just not comfortable writing about yourself? Whether you’re just setting up your website or refreshing it, serious consideration must be given to the About Us page and your staff profile or bios. It can be difficult to write objectively about yourself. Your story needs to capture the essence of who you are and what your brand represents, as well as presenting your skills and abilities. Your story must also help you to connect with your prospects and customers. As a professional website page writer, I can help you. If you want your website to attract more visitors – and get them to buy from you – it’s also important that your nominated keywords are carefully woven into the fabric of the article. This is vital for search engine optimisation (SEO). 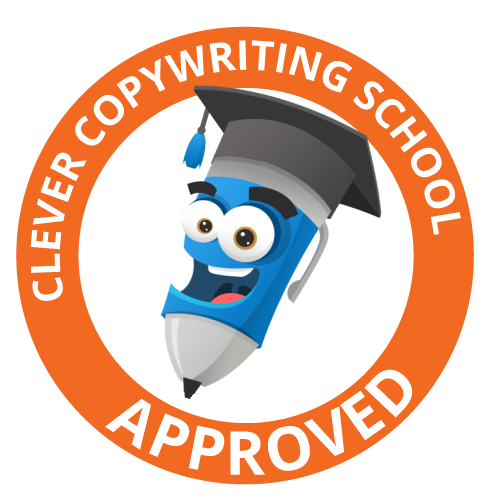 I can work with you to design short, sharp paragraphs incorporating the vital keywords which will jump your site into the high rankings – bringing you more customers to enhance your bottom line. You may see samples of my Website Copywriting here. All website pages are professionally written to your specifications, tailored to your business and targeted towards your potential customers. 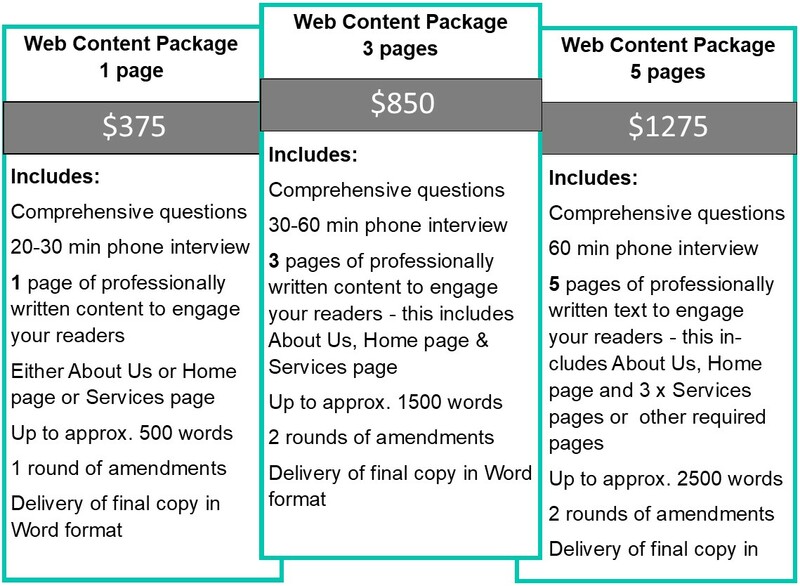 Price guide: $375 for a tailored About Us page, with subsequent pages charged at a lower rate when written at the same time. Should you require more than 5 pages of website copy, please email me regarding your requirements and I will provide an individual quote for your project. If you’d like to know more about the results I’ve achieved for my clients, please check out my Testimonials page here. As a professional web page writer, I look forward to working with you to produce quality text for your web pages. All you have to do is get in touch and we’ll get the ball rolling.